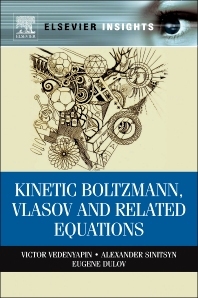 Boltzmann and Vlasov equations played a great role in the past and still play an important role in modern natural sciences, technique and even philosophy of science. Classical Boltzmann equation derived in 1872 became a cornerstone for the molecular-kinetic theory, the second law of thermodynamics (increasing entropy) and derivation of the basic hydrodynamic equations. After modifications, the fields and numbers of its applications have increased to include diluted gas, radiation, neutral particles transportation, atmosphere optics and nuclear reactor modelling. Vlasov equation was obtained in 1938 and serves as a basis of plasma physics and describes large-scale processes and galaxies in astronomy, star wind theory. This book provides a comprehensive review of both equations and presents both classical and modern applications. In addition, it discusses several open problems of great importance. 2.2. When the Equations for Continuum of Bodies Become Hamiltonian? 3.4. How does the Riemannian Space Measure Behave While Being Transformed?